The American Cathedral of the Holy Trinity, America's Episcopal/Anglican church in Paris, has served the American community since the 1830s. The vestry is the legal representative of the parish and responsible for helping define and articulate the mission of the congregation; for supporting the church's mission by word and deed. We may be a pro-cathedral and seat of the Bishop-in-Charge of the Convocation of Episcopal Churches in Europe since 1922, but we are also a vibrant, local parish church. 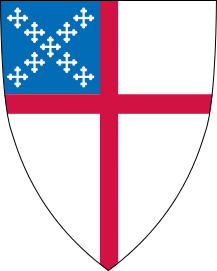 The Convocation of Episcopal Churches in Europe is under the jurisdiction of the Episcopal Church in the United States of America and part of the worldwide Anglican Communion. Comprised of nine parishes and several missions, the Cathedral of the Holy Trinity serves both as a parish church and as the Cathedral to the Convocation.